Publishing editor and author of five novels. In 1987 she was the first person to be awarded the Jiří Orten Award, despite not being allowed to publish by the communist regime. 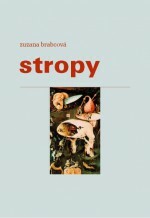 Her novel Stropy (Ceilings) was awarded the Magnesia Litera for prose. Brabcová’s books have been translated into German, Italian and Swedish. She is the daughter of the literary historian and signatory of Charter 77, Jiří Brabec, and the translator Zina Trochová. She was born in Prague on 23 March 1959 and died on 20 August 2015. Zuzana Brabcová’s [Ceilings] is a literary event, a work on the fringes which is extraordinary in its condensed and poetic style. It is, at least for me, the literary event of the past year and beyond. Her first book was Ovčí brána (Sheep Gate), though it only exists in manuscript form. Her debut novel, Daleko od stromu (Chip off the Old Block), was published in 1984 by the emigré publishers Index in Cologne. In the mid-1980s there arose the idea within anti-regime structures of setting up a prize which would help raise the profile of authors’ works which were rejected by the regime. The first person to receive the prize for best author in the age range to thirty years old was Brabcová, though Chip off the Old Block was not to be published in Czech until two years after the Velvet Revolution by the publishers Československý spisovatel. It is a story about growing up during the period of normalization in the 1970s, the search for identity within the eternally fractured world of emigrants and builders of socialism. The author was also influenced by figures from the literary world, such as the poet Vladimír Holan, the artist Jan Werich, Franz Kafka’s The Castle, as well as the Bible. Brabcová’s novel Zlodějina (Thieving History) was published in 1995 and was met with enthusiasm by the critics. The meta-narrative and metaphysical prose emerge from two stories – Eman Podoba, a fat man from Karlín, and a saleswoman, Hana Matějů, have a brief encounter, but it is their internal images and desires which are much more important than their external lives. 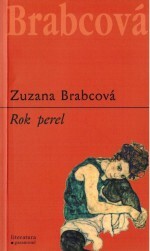 Brabcová’s novel Rok perel (The Year of Pearls) was published five years later and is described as the first lesbian novel in Czech literature. The book caused a sensation and has come out in three editions. It is set in a psychiatric hospital – a place that features in all of Zuzana Brabcová’s books at one point or another. The fateful love of an adult woman for a young girl comes to a large degree from autobiographical experiences and describes a well-known literary situation, albeit normally from a heterosexual context, where an older man falls in love with a barely adult femme fatale. Naturally, in this case the main character is experiencing her “coming out”, though this fails to cleanse her – this role is taken on by alcohol and subsequently by therapy. Zuzana Brabcová died following a short illness at the end of the summer in 2015. 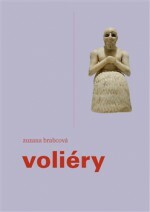 Before her death she had submitted the manuscript of her novel Voliéry (Aviaries) to her publishers. Aviaries is an intimate diary account of a neurotically oversensitive perception of the world around us. 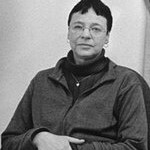 As in her previous works, here too Brabcová works bewitchingly with the language, pulsating from bare recording to supreme metaphoricalness, from lyrical tropes to vulgarity, revealing motifs of being alone and lost in a world that has ceased to make sense.